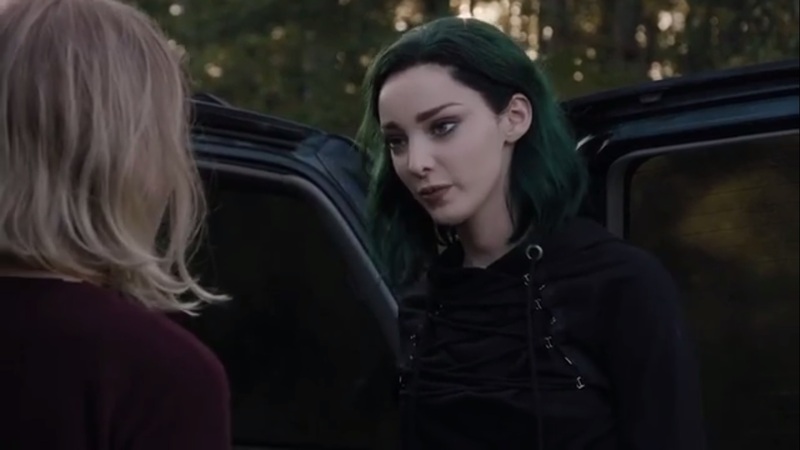 A Look at The Gifted- Season 1, Episode 9: “outfoX” | What Else is on Now? 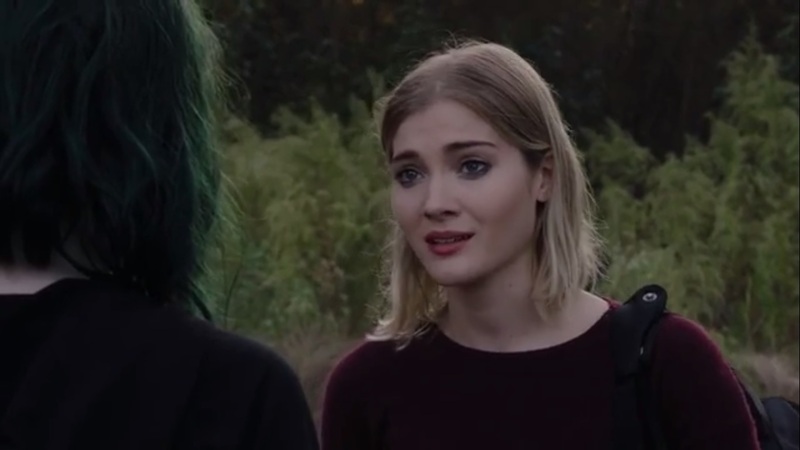 The episode begins with a flashback to one year ago as the Strucker family has a cookout. It’s been a long time since the family has had a chance to do this, Reed admits, but he’s here now. He asks Caitlin how the kids are doing, and Lauren is a bit distant, but she chalks it up to teenage behavior. At least they aren’t bickering. Andy asks Lauren to try a trick on his skateboard, even though she doesn’t skate and is confident that she’ll fall. He helps her up, but she slips and fall. But Andy catches her and as the two join hands, their hands unexpectedly begin to glow. 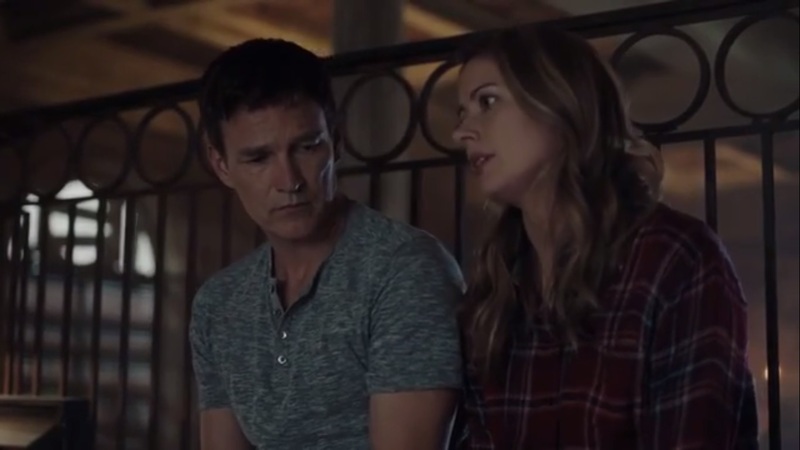 We cut to present day as Reed has glimpses of his younger self and the time he spent in the hospital when his father wasn’t there, but of course he knows the reason why now. 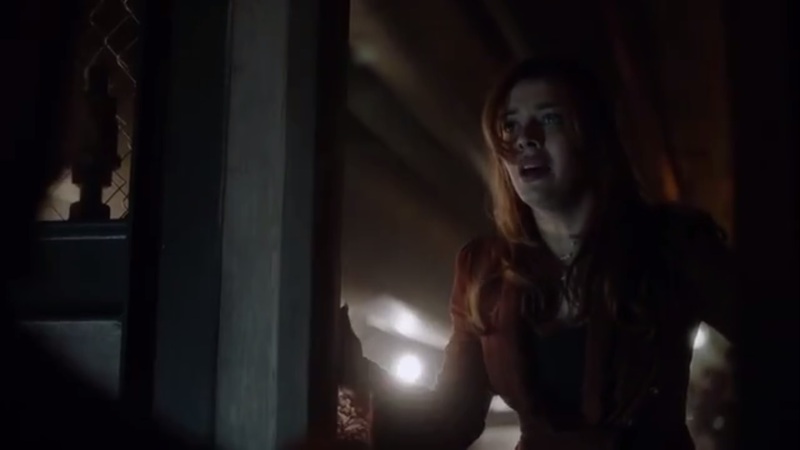 Caitlin joins him as he tells her what it feels like to lose his father. Caitlin, though, remembers how her mother always brought up her mistakes, but that changed when they grew up. But by the time that happened, it was too late. Its worse when you’re not close because you realize how much time you’ve missed. Caitlin then asks Reed that if Otto was a mutant, given that mutations were meant to be random, is it possible that it was hereditary? Reed confirms that they can be passed down, so Caitlin asks if the mutant gene skipped him. Reed explains that Otto’s work at Trask Industries involved suppressing the X-gene in Reed, and he succeeded. But then the gene came back in Andy and Lauren. The parents thought that Reed had leukemia and this secret destroyed his family, but it won’t destroy the current Strucker family. The others formulate a plan to infiltrate Trask Industries, with Esme leading the charge. 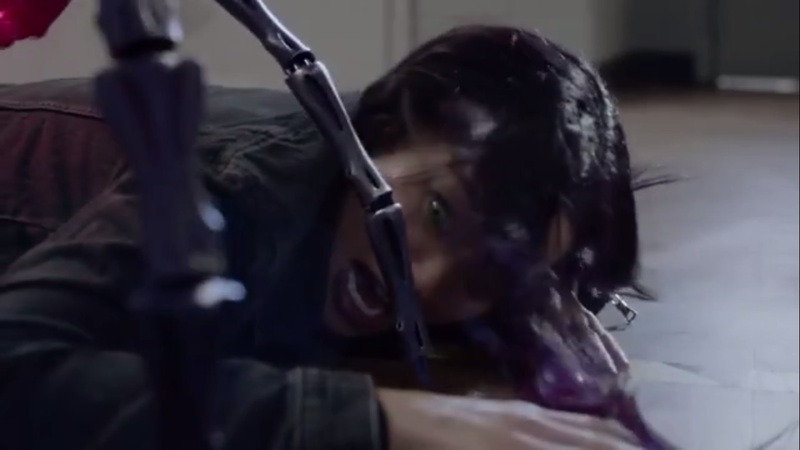 She got enough information from Chloe to know that mutants inside Trask were desperate, as she could feel their agony. Sage is assembling information on finding the location now. And since John saw what happened to Pulse, Esme doesn’t want to wait. But Marcos doesn’t want to just go in blind and without a plan. Later, Sonya joins John, who tells her that Esme may have a point. Plus, he feels guilt over leaving Pulse behind, even though Dreamer says that John blaming himself won’t help. Plus, Sonya wonders how Esme knows so much about Pulse. Even still, John is upset that he didn’t save Pulse and Sentinel Services as a result turned him into a monster. John won’t let that happen to anyone else. That evening, Andy and Lauren find themselves unable to stop thinking about the reality that Otto was a mutant. 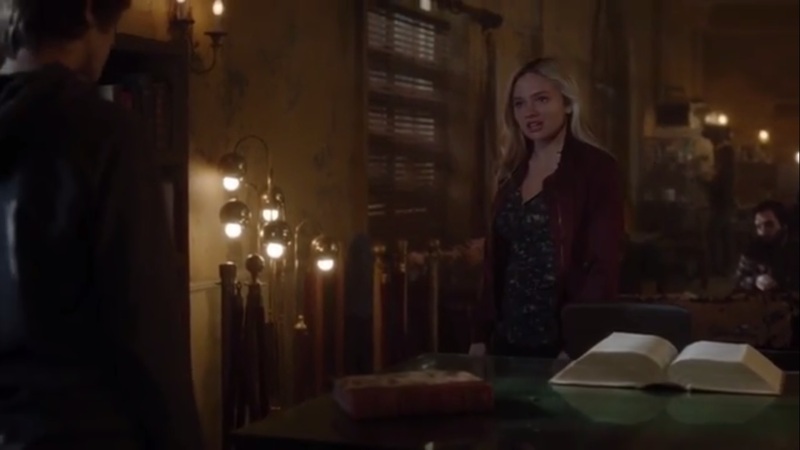 Andy shows Lauren some books about Andrea and Andreas von Strucker- Fenris- and how the two combined their powers by holding hands. This is the Strucker family history. And they were also a part of an organization called the Hellfire Club, but the two eventually disappeared when fleeing the X-Men. Lauren then stops, saying she doesn’t want to know any more than she does now. 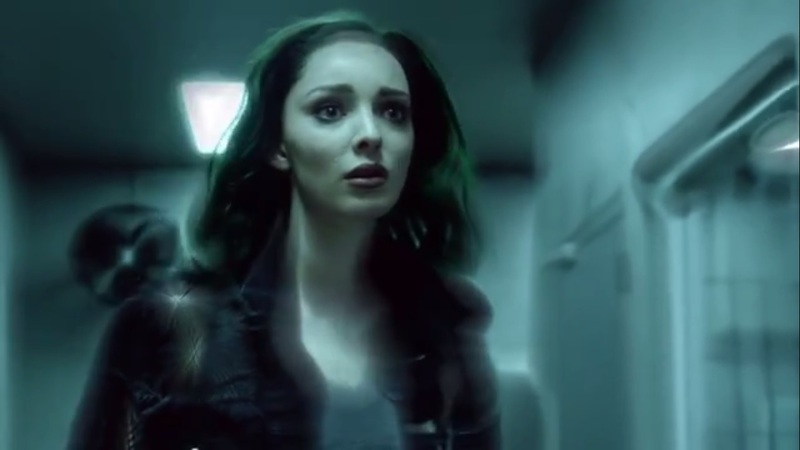 Lorna, meanwhile, is having a dream of seeing all of her mutant comrades imprisoned. She tries calling out to Marcos in his cell, but he can’t hear her. At the sound of a baby crying, she finds that even her baby has been imprisoned. She tries using her powers, but to no effect. Marcos finally awakens and assures Lorna that the baby is with them. Lorna now decides that the time is right to help the baby. The next day, Officer Turner arrives at a hospital where Dr. Campbell is still in pain, but he’s refused surgery. 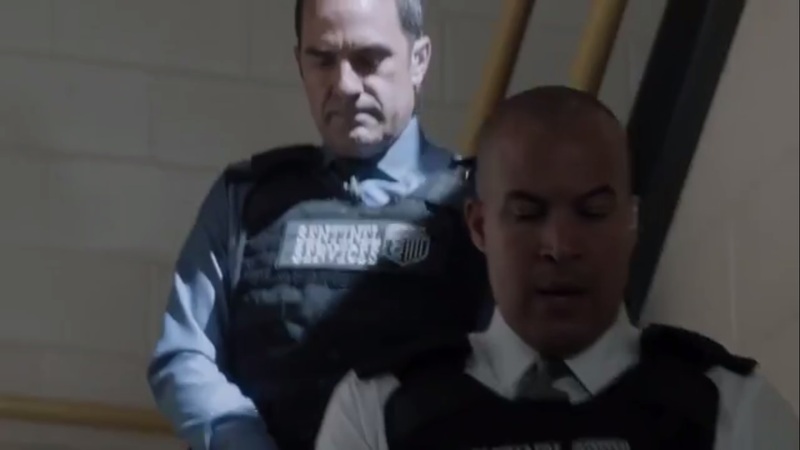 The nearby officer tells Turner that Washington is pissed about losing two agents recently, but Turner figures that since the underground knows about H.O.U.N.D. program, they’ll be coming for Trask Industries soon. Turner knows he’s right and can bury the paperwork, so long as some techs get on this. Sage confirms that there’s no information on Trask Industries but she’s found that a bar is popular with Trask employees. Good, so Lorna- and not Marcos- will accompany Sonya to get some information. After all, you don’t send a girl and another guy to get information from a guy. That much is true. 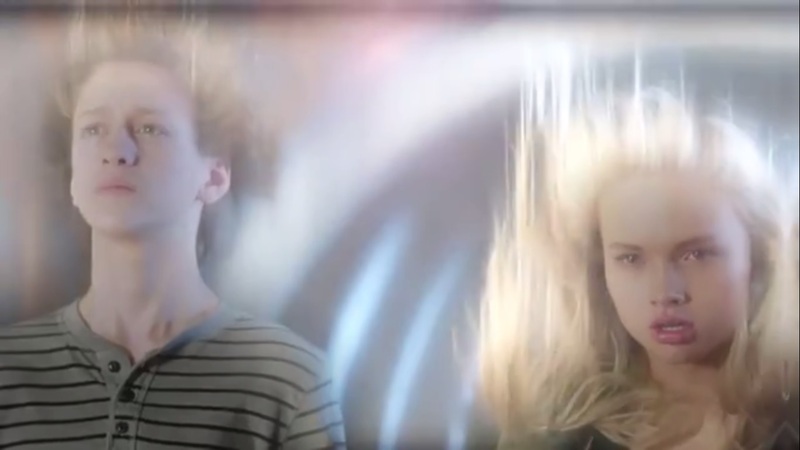 Reed joins Caitlin, who wonders how different things would’ve been if Otto had told the truth or if Lauren had told them earlier that she was as mutant. Reed, though, is confident that they did the best they could. He asks if Caitlin would’ve done anything differently had she known, and she says that she wouldn’t have. Reed then shares that Otto’s father and aunt were terrorists who had the same powers as Andy and Lauren. They became a destructive pair when they combined their powers. 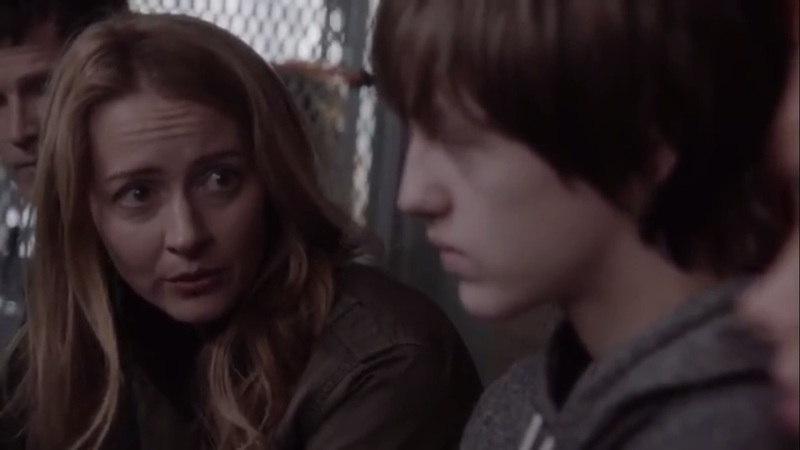 Caitlin opts to tell the kids, as she sees that Otto didn’t do the right thing by keeping secrets. No more secrets. Indeed, Lorna and Dreamer talk with a Trask security guard, who tells them that there’s a program that keeps mutants in place. As the guard badmouths the notion that mutants are so-called homo-superior and casually talks of beating mutants, Lorna gets pissed and knocks him out by manipulating a spoon and turning it into a brass knuckle. Dreamer uses her powers to go through the officer’s mind to for information. Caitlin and Reed share the news with Andy and Lauren. 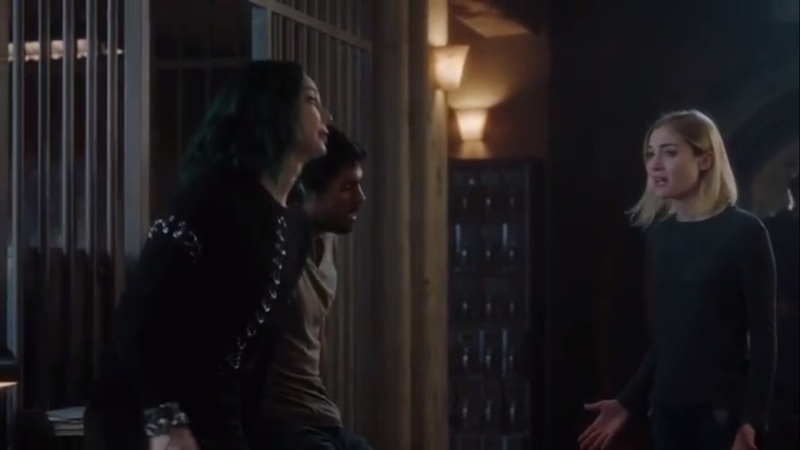 They want to test the powers in the vault to see if the powers from Fenris passed to Andy and Lauren. 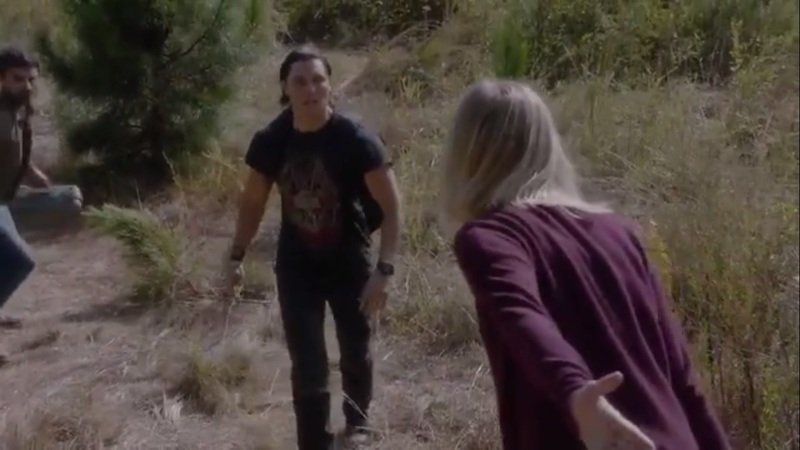 So the two join hands and…nothing happens except for Lauren confirming that Andy’s hand is sweaty. Andy wants something to happen, so he insists that the two try harder. So again, they join hands and begin focusing. This time, something happens as the entire vault begins to tremble. Reed breaks them apart as the two realize that they could feel everything happening around them. 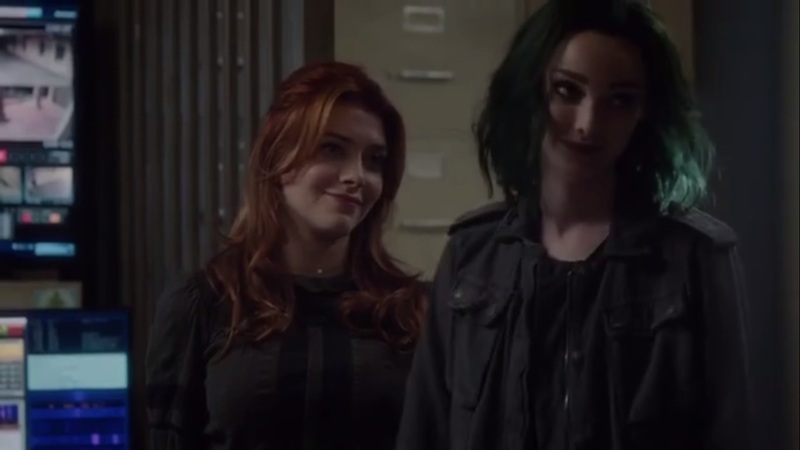 Lauren confirms that they were about to bring down the entire building and would’ve killed everyone. Sonya shares what she’s learned about Trask Industries. Clarice can’t portal anyone pass the defenses since she knows nothing about the building, but luckily, Sage found a power source that could be taken out. Marcos points out that they don’t have any heavy hitters, but Esme is more ready than anyone, even though John tells her that they only get one shot at this. 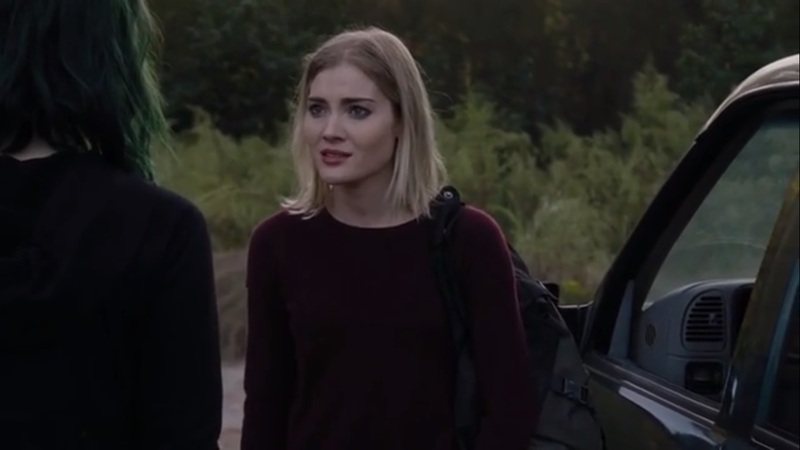 Andy and Lauren tell their parents that when they joined hands, everything around them disappeared and the two of them became one, as if they saw out of the same eyes. Lauren could feel that she and Andy could’ve destroyed the building. Combined, they feel it’s possible to do anything. Andy wants to practice, but Reed tells him that they can’t use their powers to hurt people. After all, this is who they are. Reed reminds Andy that sometimes he can’t control his own powers, causing Andy to storm off. 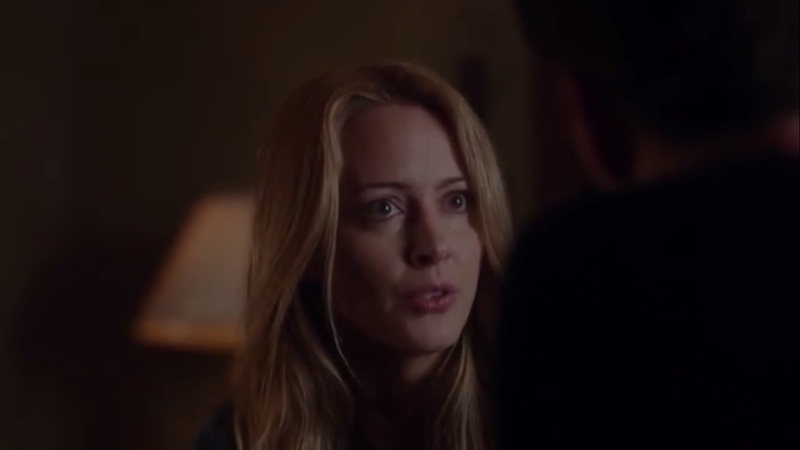 Lauren goes after him and admits that she never felt more powerful than before when they joined forces- it’s scary because of how good it felt. Andy brings up the park incident and says that he’d want nothing more than to try this again. He wonders if they’d end up like Andrea and Andreas. 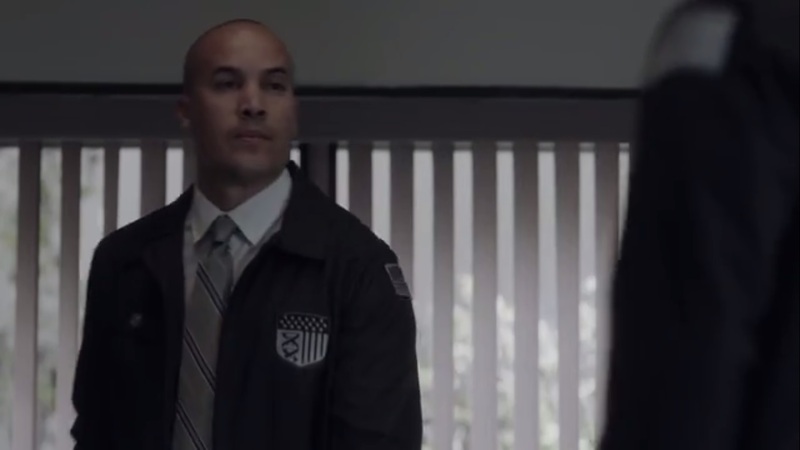 Marcos looks up information on the sub-station as Lorna is confident she can handle electronics. He asks about the nightmare Lorna had, but Lorna tries to move past that. She’s worried about the baby, yes, but she’s unsure that this place will make it. Marcos vows to protect her, but Lorna isn’t sure that he can keep that promise. Then Esme interrupts the conversation to propose an idea for knocking out the power station: use the Strucker kids. At Sentinel Services, Jace tells his wife that he’ll be late tonight due to his case, but she doesn’t like him going back to work so soon. Jace, though, wants justice for his daughter. He’ll be home when the job is done. Another officer reports that he got a team to look into the lab, but they’re on thin ice with this being an unauthorized investigation. So in Turner’s eyes, failure isn’t an option. The mutants ask Andy and Lauren to use their powers on this mission without putting anyone at risk. Sage hacked the security cameras and everyone can get in through Clarice. Andy and Lauren are all for this mission. However, Reed and Caitlin want to aid in this mission by helping monitor the security. Luckily, Sage can help set that up. Time for the mission to start, as Lorna catches a generator that Esme drops. 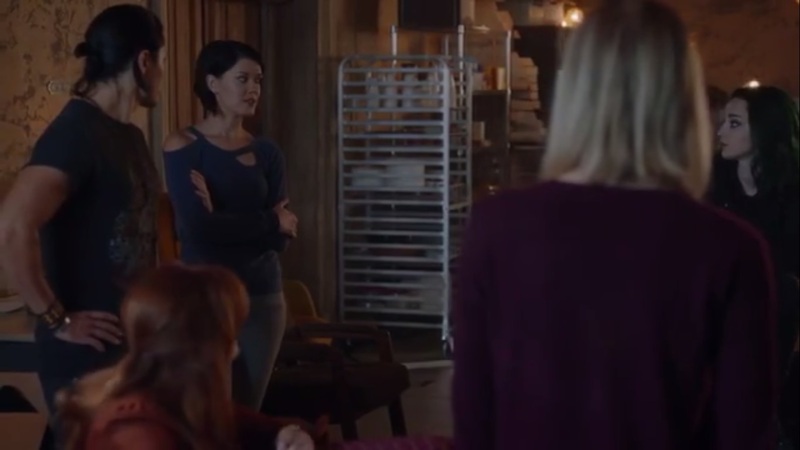 Esme assures Lorna that she’s ready for this, even when the shooting starts. 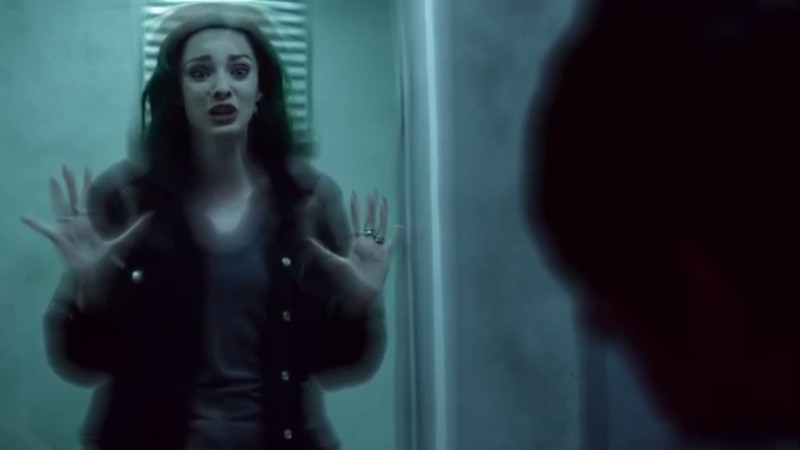 Lorna assures Esme that this is no adventure, and Esme uses her powers to look through Lorna’s mind as she happens upon the memory of Lorna getting captured when the underground first encountered Clarice. She asks Lorna if she’s ever been so angry that she’d use her powers to do whatever it takes to save the people close to her. This is why Esme is here- to save her family. Marcos and John arrive at a fence outside the building, with Joh lamenting that they don’t have Pulse with them. 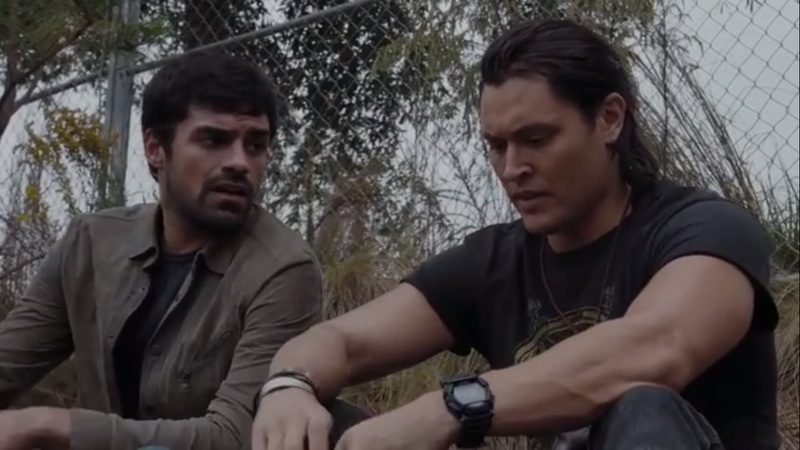 But Marcos tells John that they get to make things up to Pulse today. John alerts the others that they’re in place as Reed tells him that they’ll be at the sub-station soon. Reed and Caitlin tells the kids that while they may be able to handle this, it’s still a parent’s worst nightmare. As Sage bypasses the firewall and fixes the cameras so they can’t be seen, Clarice prepares a portal. Andy, Lauren, and Dreamer jump through. Meanwhile, Jace is updated on the Trask employee network and one officer, the one from the bar, who hasn’t arrived because he called out sick. And he accessed information on the power station that powers the lab. Jace doesn’t want anyone called since the mutants could be monitoring it. Clarice, Dreamer and the Strucker kids arrive inside while Reed and Caitlin provide surveillance on any nearby Trask employees They’re headed for the transformer in the middle of the building, but the plan is interrupted when they run into a guard who Dreamer quickly puts a stop to with her powers, so he walks right past them. Outside, John, Esme, Marcos, and Lorna prepare the charges- they have three minutes. Marcos asks how Esme knows the prisoners will help, but Esme is certain they will. That’s not answering the question, Esme! Back in the van, Reed and Caitlin talk about their early encounters when they were dating. He found that if he focused on his plan, it got better. Now the plan is to focus on the kids and keep them safe. He assures Caitlin that they’ll get through this. Jace figures the mutants are trying to disable the security system, even though this is all a hunch. The techs go through a few zones and most of them are clear…except for one, confirming that the mutants are making a move. Inside, the others continue along just fine until Caitlin finds a Sentinel Spider roaming the hallways. She yells for the others that there’s a team inside the building, so they need to clear. They do just as the alarms sound. 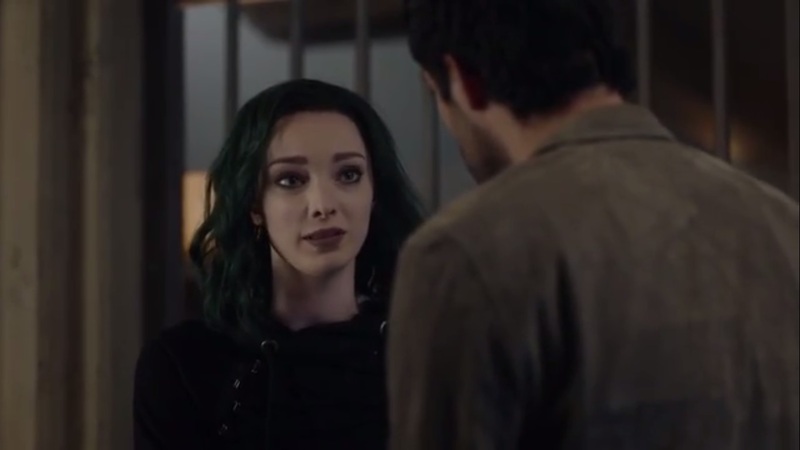 Also inside the facility, Jace is confident about this mission because the techs have been working on the Sentinels, so they’re better prepared to face the mutants this time. Clarice is trying her damnedest to prepare a portal just as a Sentinel Spider arrives. Andy manages to destroy a pipe, but the Sentinel Spider lunges forward and latches onto Clarice, who yells for the others to go without her. Outside, the feed between the mutants and the parents is interrupted, but Reed tells a frantic Caitlin that they have to stay in the van. At the same time, John tells the others that they have to fall back because the operation is blown, though Esme is adamant that they stay. Today, though, isn’t a day where the mutants can win, so they retreat. Sonya, Andy, and Lauren rush down a corridor and arrive at a locked door. 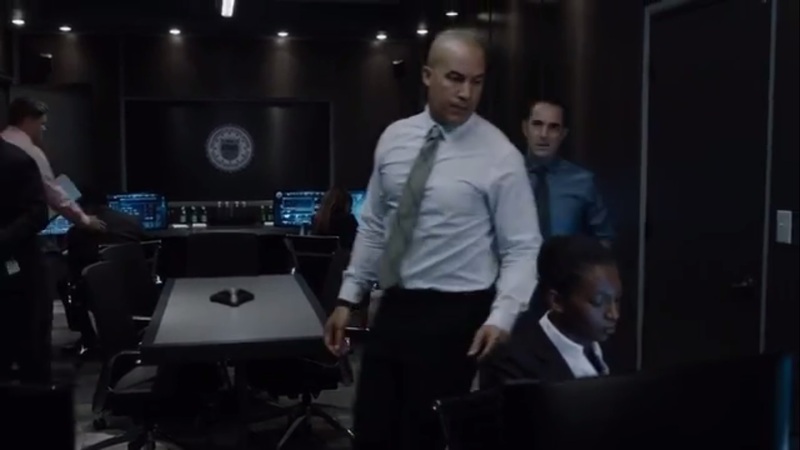 Sonya eventually manages the correct code for the door, but just as she does, agents arrive. She tells the Struckers to leave her behind. Andy and Lauren arrive in a garage alone, confident that they can do this when they combine their powers. So the two join hands, but Andy breaks the grip because they’re in the basement. If they do this, everyone will die. Jace and other officers stream in and surround the kids. 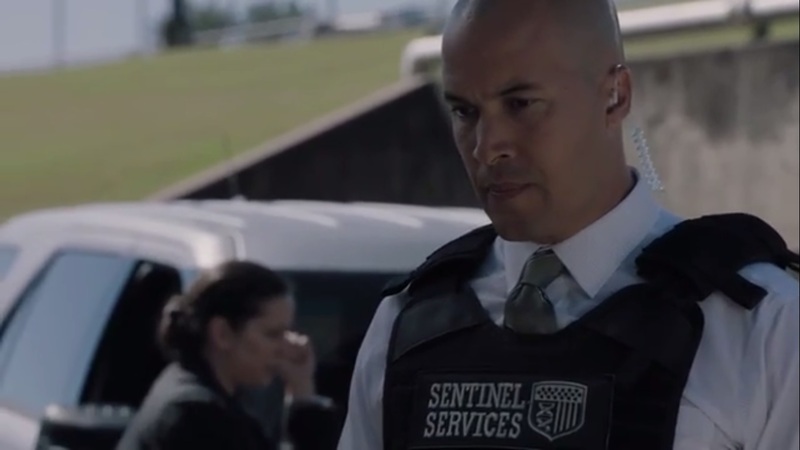 As Caitlin yells for her children, she and Reed are helpless and unable to help as Andy and Lauren drop to their knees as Sentinel Services officers surround them and place collars on their necks. End episode. 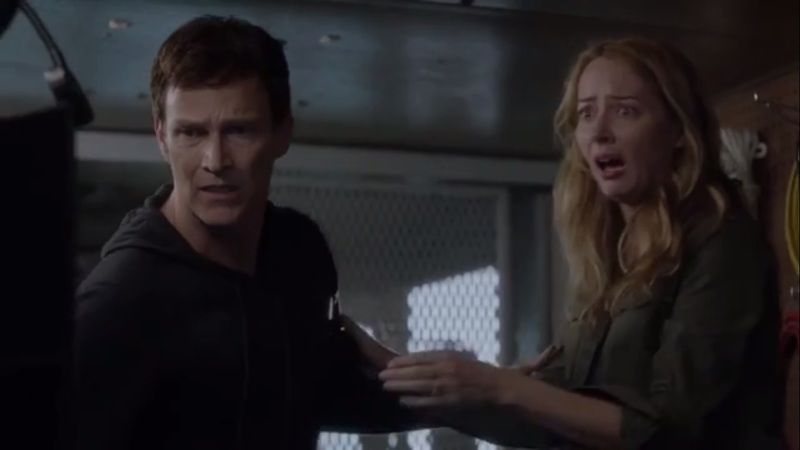 So after that break, The Gifted comes in with another strong episode with the mutants again taking on Sentinel Services, but this time, they end up on the losing end by a huge margin. Now by definition, to outfox means to outsmart or out-manuever your opponents, and we get that here on two fronts. We’ll get to that later. First off, very glad to see Andy and Lauren not only becoming more aware of what they can do together, but the possibilities and seeing them firsthand. It would be one thing if they sat on their hands and did nothing, but the opening flashback established that they are aware of what they can do. All they needed was an opportunity to test it out. And for a television budget, like the other effects we’ve seen so far, it was an impressive display made all the better by the sheer possibility that they could bring down an entire building if they tried hard enough. With Andy showing the history of Andrea and Andreas von Strucker, they’re aware that there’s precedence in the family for combining powers, so naturally they’d want to experiment. This is something that’s been growing since the pilot. 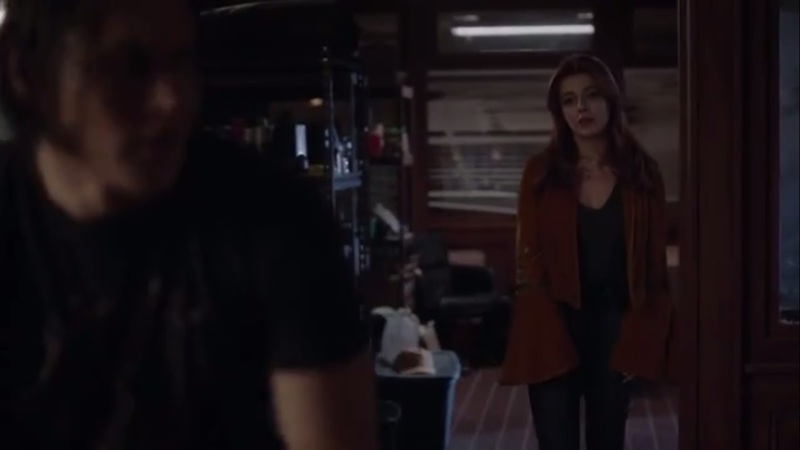 We know Andy has a strong passion for destruction, but while Lauren is the more cautious, we see here that yes, she’s equally intrigued by how powerful she felt when the two joined forces. 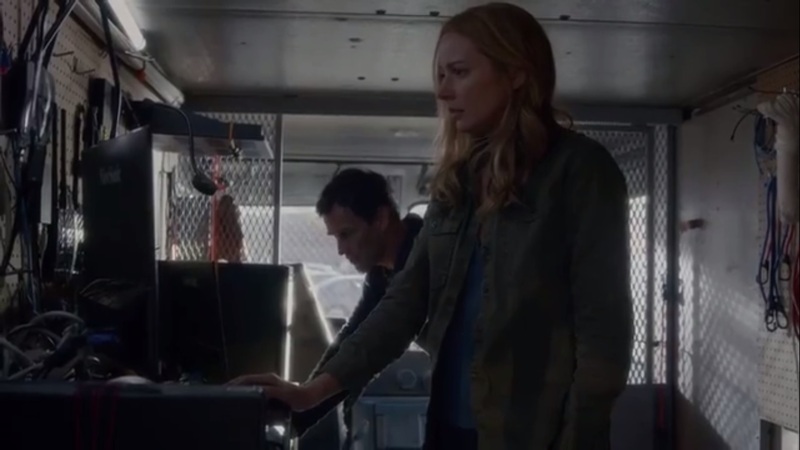 But in the most crucial moment when coming together mattered, it was Andy who was the cautious one when he pointed out that he and Lauren could inadvertently kill everyone, including themselves, if they brought down the Trask Industries building. Sure, from a mutant perspective, they’d be dying for a good cause, but we’ve only scratched the surface on their story. No need to axe them now. At the same time, it’s a good thing that the family has decided to not keep secrets anymore. It would’ve been easy and convenient for Reed and Caitlin to keep their kids in the dark, but now that it’s out in the open, they can have conversations about the possibilities their powers have when joined. And them being parents, it makes absolute sense for Reed and Caitlin to be concerned. To that, I’m glad they spoke up and volunteered to go on the mission instead of staying behind. 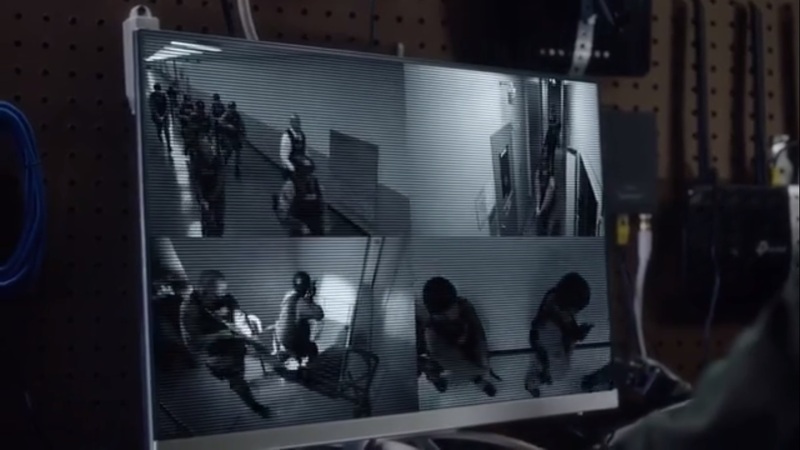 True, all they did was monitor security, which I wager Sage could’ve done, but them being there allows them to monitor Andy and Lauren’s progress. At the same time, it’s made all the more tragic when they’re helpless and left to watch their children be apprehended by Sentinel Services. The episode had been building towards this sequence and it was well executed. For a minute, it seemed like the mutants had the upper hand on Sentinel Services, but then Jace became aware of their presence. Coupled with the improved Sentinel Spiders, it was Sentinel Services who managed to outfox the mutants in a strong show of strength. In capturing Clarice and Sonya, the underground is without their quick access to locations or the mutant who can manipulate memories- a major loss on their part on top of the Strucker kids being apprehended. Another possible instance of maybe not necessarily outfoxing, but out-maneuvering the mutants would be Esme. From her eavesdropping on conversations, going through people’s minds, and being so adamant on going after Trask Industries, it’s clear that she’s not all she seems. Plus, combined with her ‘family’ and the name drop of the Hellfire Club, got a hunch as to whom she might be working for, if I’m right. Also, Lorna’s nightmare feels like a premonition of what’s to come down the line. 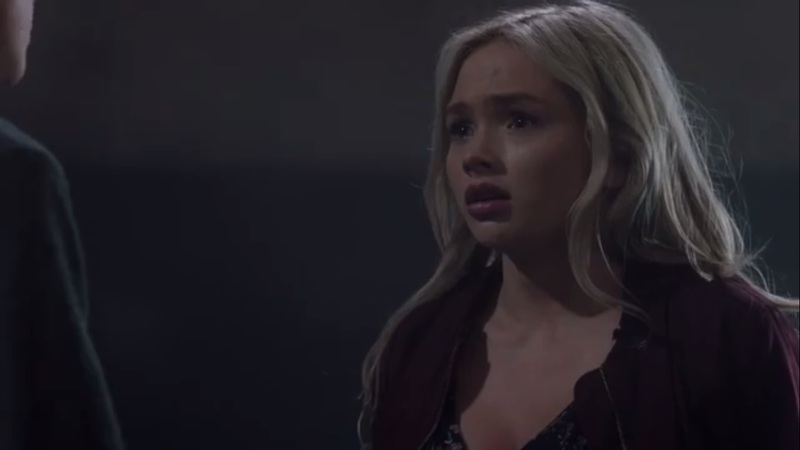 In addition to already being worried about her baby and her friends being captured in a dream, she has to contend with the reality that some of her friends are now being held against their will at Trask. With who we have left at the underground, hoping everyone gives it their all in order to save their comrades. 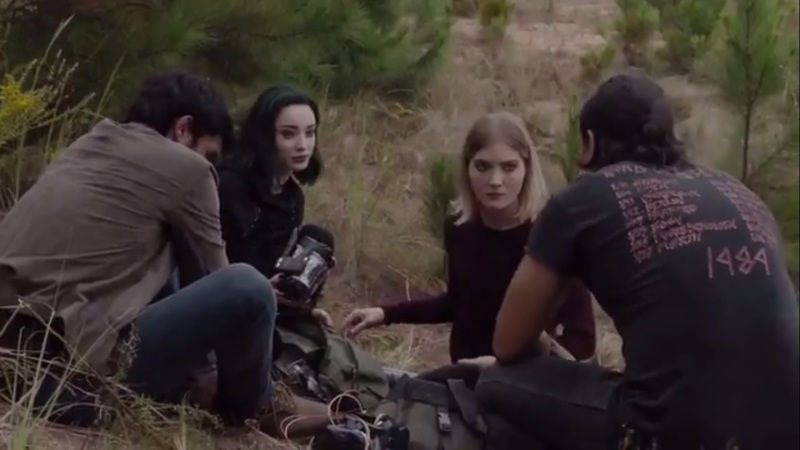 Perhaps a break can be a good thing, as The Gifted’s return delivers a powerful episode with secrets coming out, Andy and Lauren working on using their powers together, Esme pushing for an attack, and the mission at Trask Industries taking a huge hit. It’s a big setback and the underground needs a solid plan to strike back against Sentinel Services. This entry was posted in The Gifted and tagged Amy Acker, Andy Strucker, Blair Redford, Brad Marques, Caitlin Strucker, Carly Soteras, Coby Bell, Dreamer, Eclipse, Elena Satine, Emma Dumont, Esme, FOX, Hayley Lovitt, Jace Turner, Liz Friedlander, Lorna Dane, Marcos Diaz, Marvel, Matt Nix, Percy Hynes White, Polaris, Reed Strucker, Sage, Sean Teale, Skyler Samuels, Sonya, Stephen Moyer, The Gifted, Thunderbird, X-Men by omarid513. Bookmark the permalink.